One of the UK’s leading electrical wholesalers – CEF – has published a brand-new guide to smart home technology, streamlining the selection process for professional installers and buyers alike. 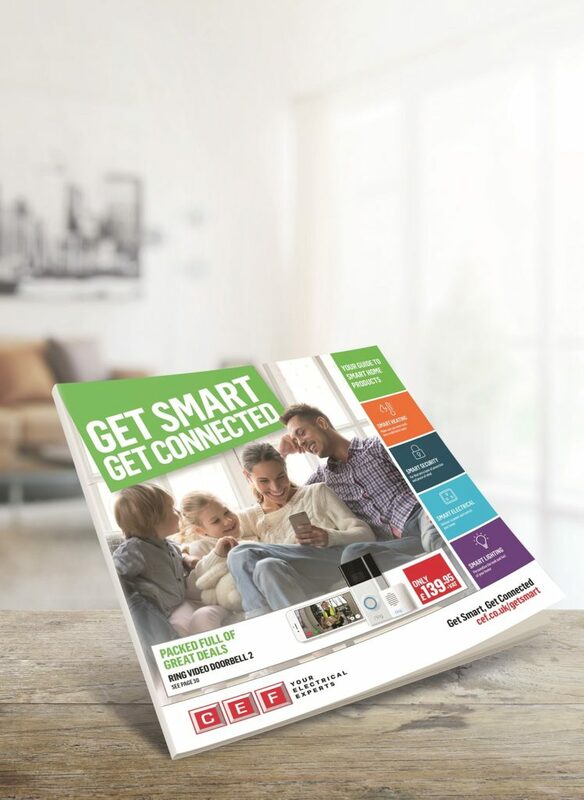 Get Smart, Get Connected is a comprehensive priced product directory and microsite featuring the latest products and innovations as well as insight, installation advice and guidance to help electricians take advantage of the smart home revolution. It’s estimated that £10.8 billion* will be spent on smart home devices in the UK this year alone, with an increasing number of those products now requiring professional installation. The smart home market presents a huge opportunity for electrical contractors – but understanding the range of products available isn’t always easy.